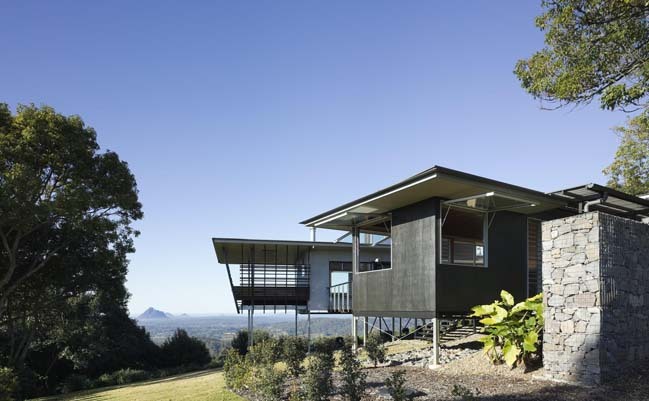 Located in Maleny, Queensland, Australia. 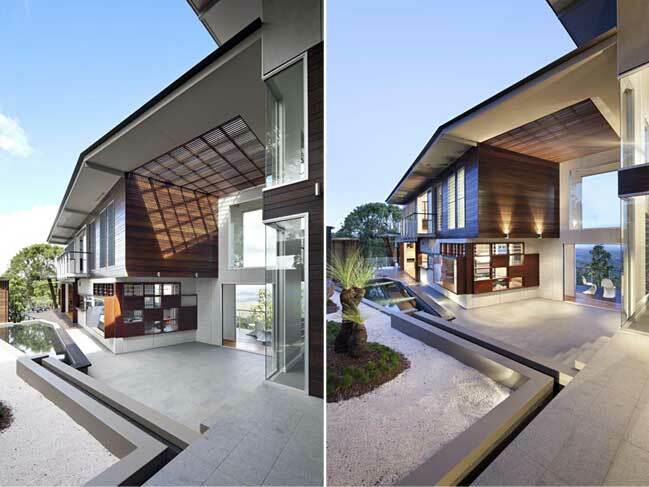 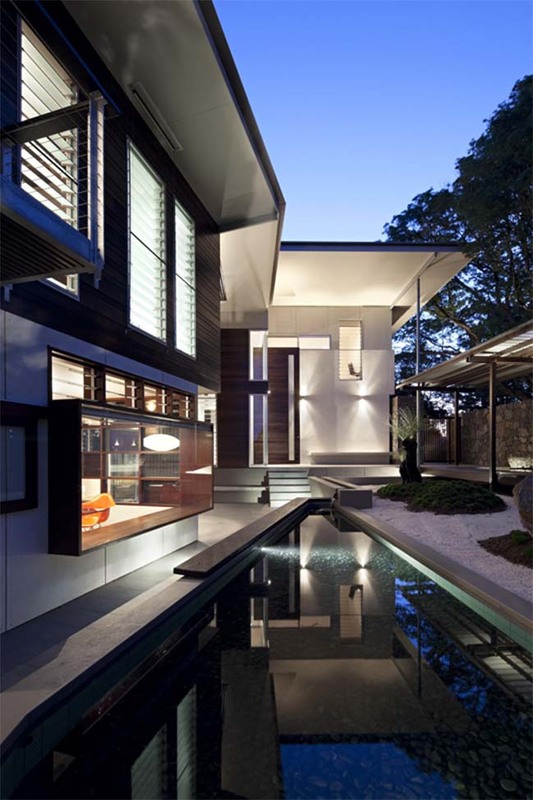 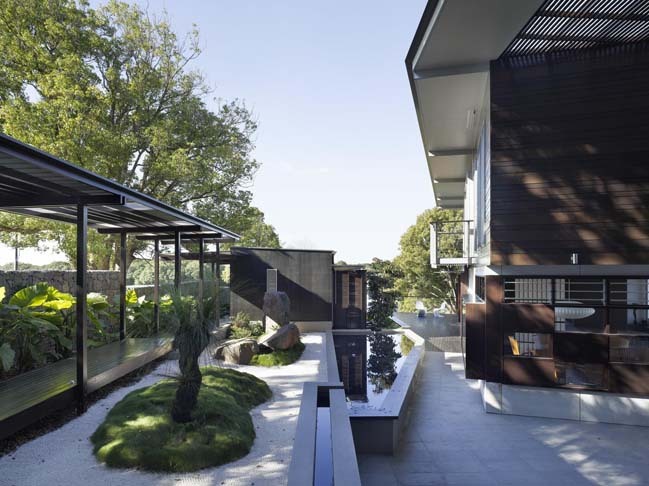 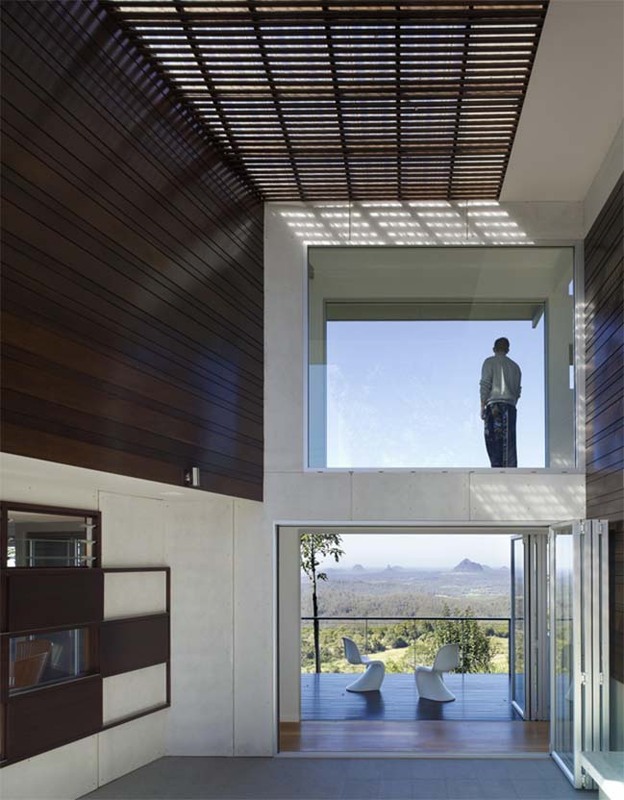 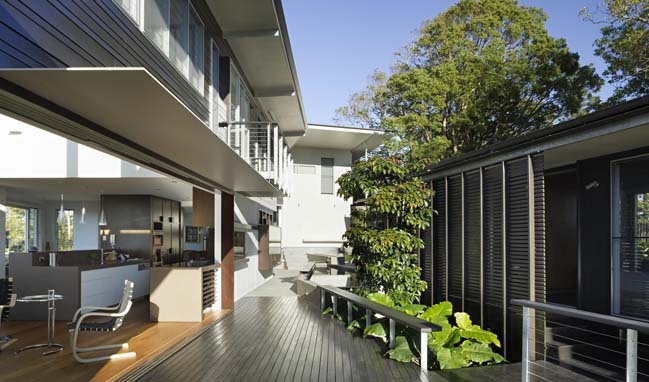 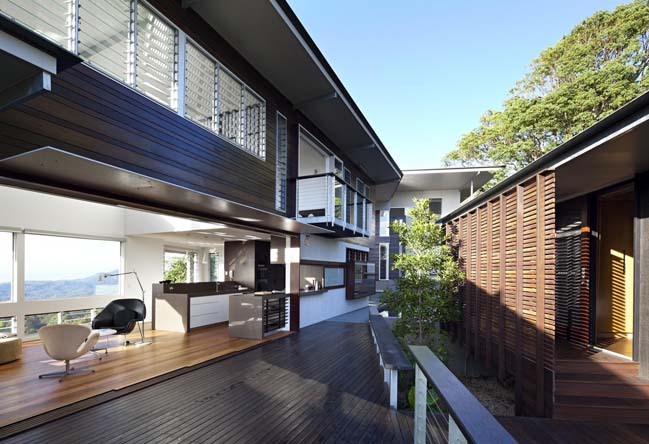 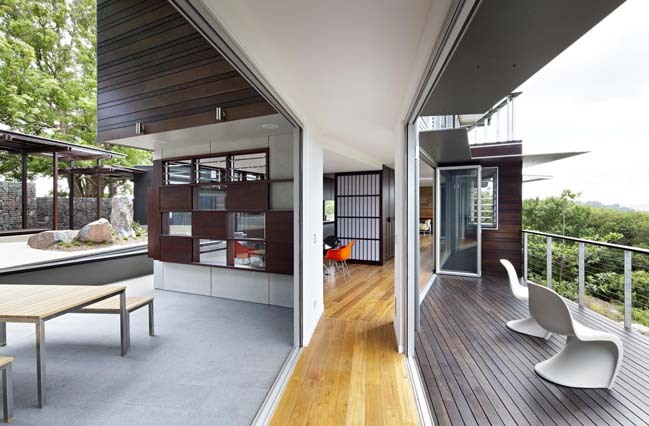 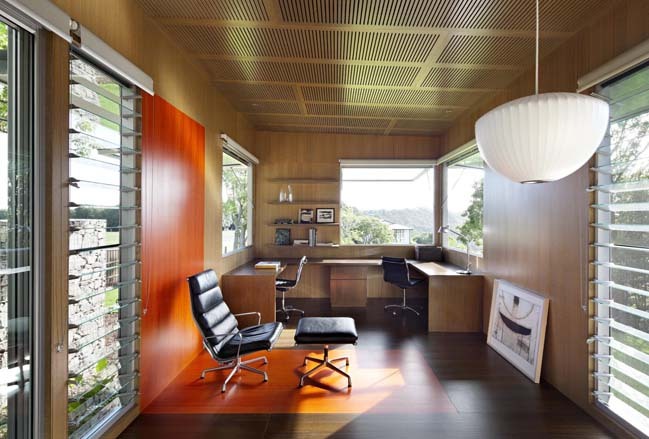 The Glass House Mountain House is a beautiful private residence that was completed by Bark Design. 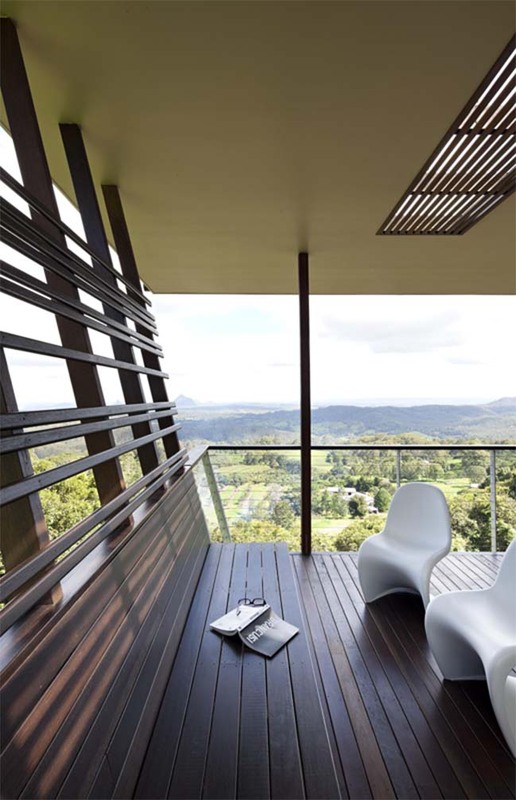 From the architects: Perched on the edge of the remnant rim of the Glass House range, as well as the essence of it’s place - ‘sky and mountains’. 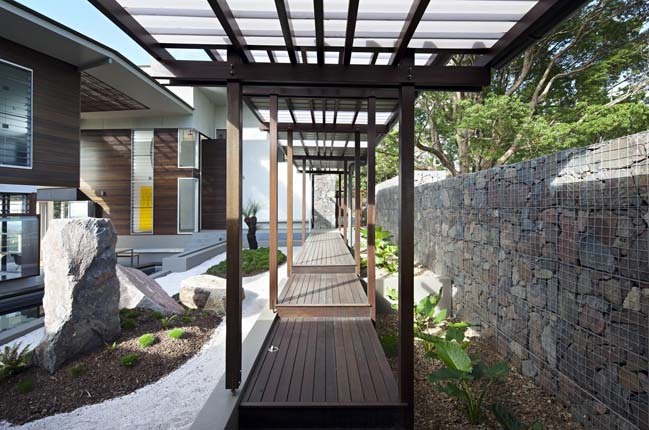 Translated into a place of ‘glass and stone’ inextricably connected to its landscape it has qualities of being anchored, robust and earthbound as well as being transparent, light and floating. 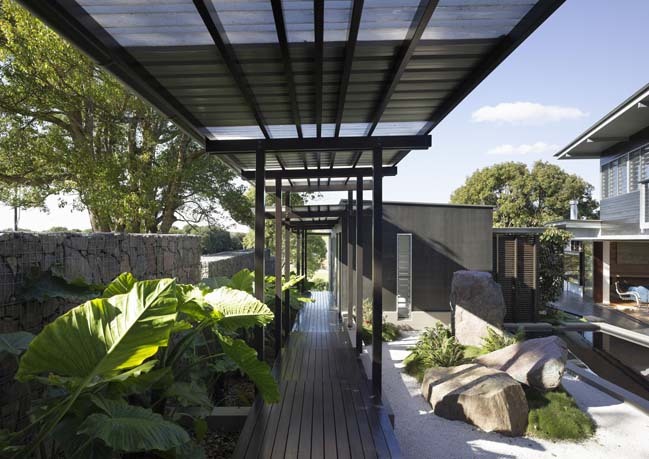 Memorable to the experience is the ‘sanctuary’ of the courtyard space, whose edges are defined by ambiguous indoor outdoor thresholds of the transparent internal spaces, sitting between the refuge of a monumental basalt ‘Garden Wall’ and the broader natural volcanic landscape. 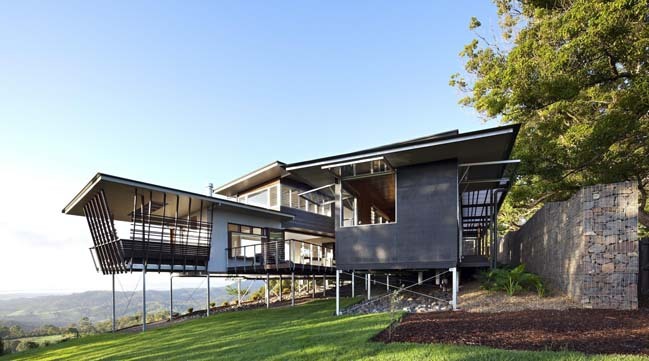 Engaging with existing topography, orientation, views and vegetation, the house balances economy and fine craft. 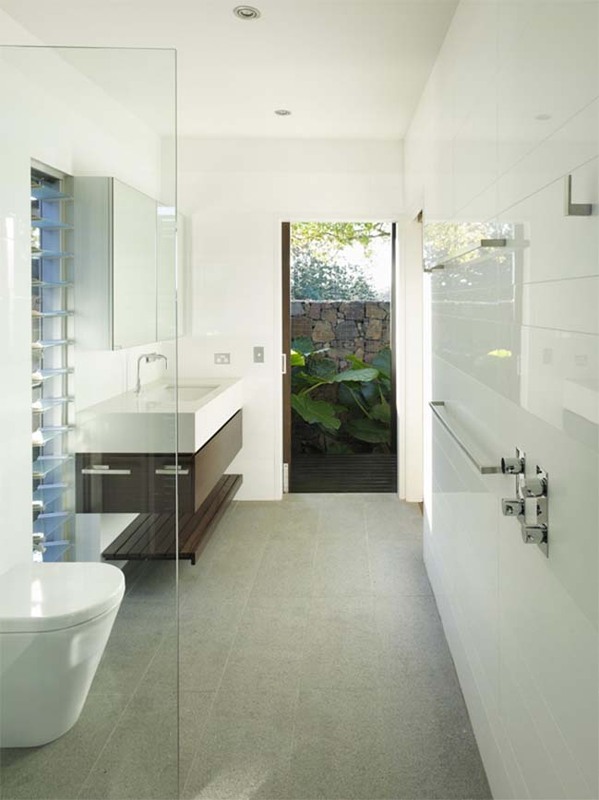 It celebrates economical finishes, directness, authenticity, natural, textured and unadorned surfaces which are embroidered with highly crafted timber elements and pieces. 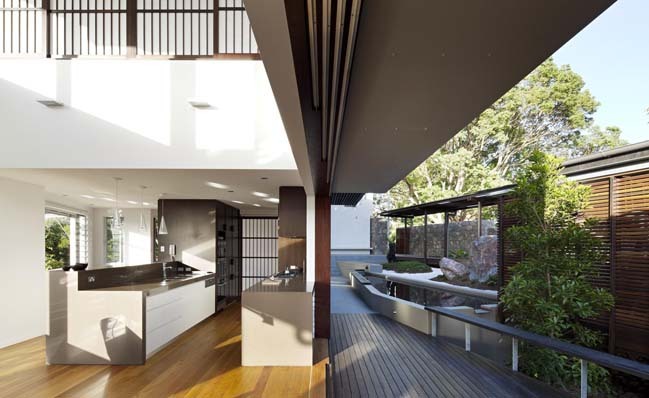 Surfaces, finishes and details exhibit the Japanese concept of wabi sabi - the beauty of things imperfect, impermanent and incomplete, allowed to weather and evolve with time.